Admittedly, My wardrobe in my youth was a reflection of my mother. Every morning (until about 6th grade), she would pick out every outfit I wore. Skorts were a popular choice with her because they were girly yet functional. Now I love my mother, but skorts were not cute back in the day; however the recent re-emergence of them has forced me to reconsider wearing one. I'm so glad I found your blog Rin! I have that Zara skort and can't get enough of it lately. I have the white skort and I love it! 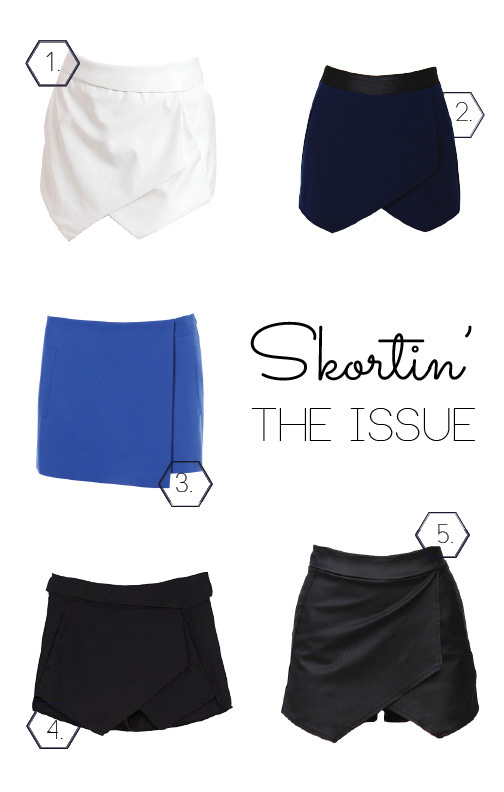 Loving all of these, esp the cobalt skirt!! loving the skort! that navy one is adorable! Skorts are my favorite. I still have to find the perfect pair for myself. Im loving skorts lately too!